However, just to the south of the castle lies the origal Middleham castle: an impressive Motte and Bailey style construction. The castle is open to the public and is the impressive enough in the enclosed photomosaic. 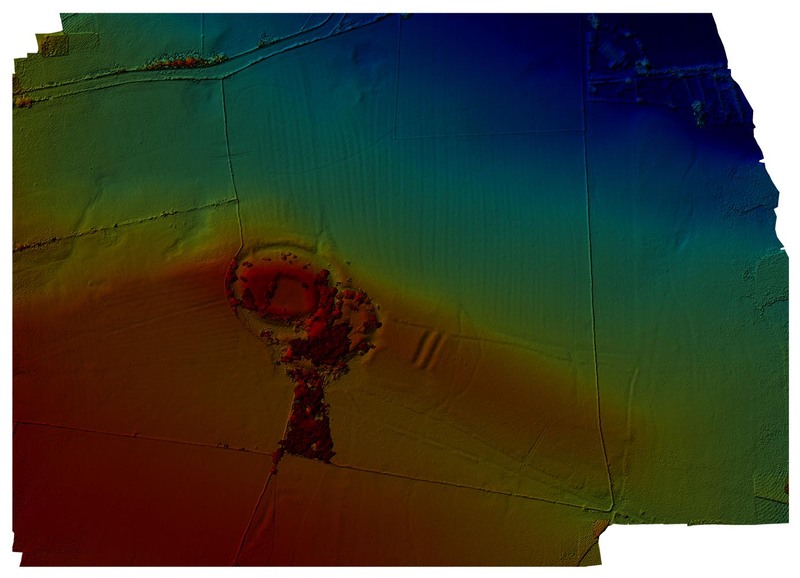 However ground mapping and eklevation data reveals the the castle exerted its influence on the surrounding neighbourhoodfar beyond the environment of its bailey. To the east of the castle can be seen an extended rectangular enclosure of unknown function, surrounded by well dug banks and ditches. In addition, and not visible on the ground deep parallel banks can be seen associated with and respecting the alignment of these enclosures. 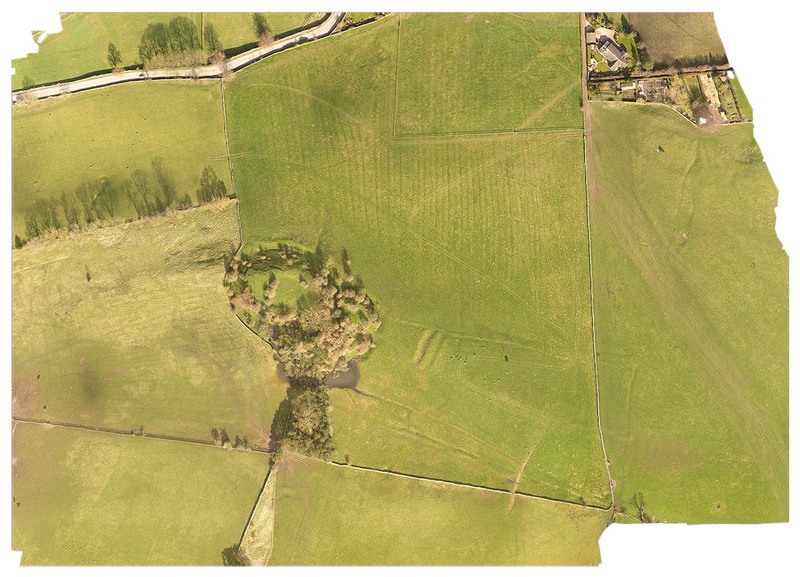 There is much evidence to the west of the castle of medieval ridge and furrow farming, and the perfectly cut moat surrounding the Norman motte appears nearly as deep and well maintained as when it was dug in 1087.